Play Triple Luck online for free now! Triple Luck is played on 3 reels with 9 fixed win lines. The "3 x" symbol scores the highest winnings. 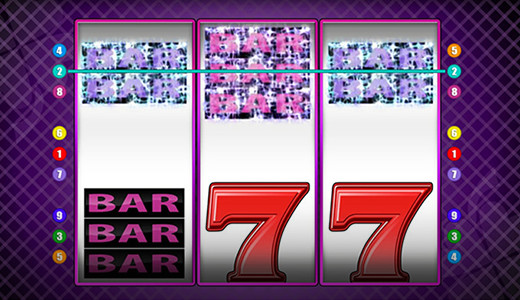 Your aim with Triple Luck is to land 3 identical winning symbols on one of the 9 pay lines. With the "3 x" symbol you are a winner: It can act as a Joker symbol and substitute for all other symbols of the slot and therefore increase your chances for correct symbol combos. Moreover, it already fetches Twists for your account when it lands 1 x or 2 x in any position on the reels. The "3 x" symbol multiplies your Twists when it is part of your winning combos as a Joker: it pays a triple win if it substitutes for a symbol from a winning combo. If it substitutes for 2 symbols from a correct combo it gets 9 times the Twist winnings for your player account! 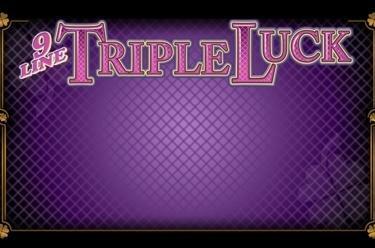 Triple Luck focuses on the essence of slot gaming and keeps frills to a minimum: there are 3 reels, 9 fixed pay lines and precisely 3 different lucky symbols. As you can see the number 3 takes centerstage and this continues with the symbols: As a Joker the "3 x" symbol can substitute for all other symbols and therefore increase your winnings up to 9 times!